These smaller electric vehicles will run operations from a number of “micro depots” says DPD. They estimate that this will replace ten regular rounds of deliveries and retire diesel vehicles. 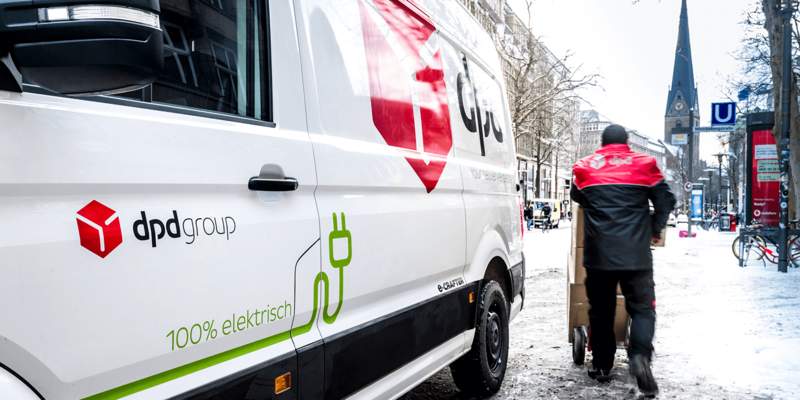 DPD will use various electric vehicles for the Hamburg trial, the largest being the VW e-Crafter and the Fuso e-Canter by Daimler. Electric scooters of type TRIPL come from the Danish manufacturer EWII. The electric cargo bikes are then made by German Radkutsche. In terms of deliveries, the vans or truck will deliver parcels to the micro depots in the morning where the cargo bike or TRIPL scooter will pick them up. DPD already began operations with its first micro depot in Hamburg last month. In the case of the Hamburg trial, DPD secured support from Zukunft.de. The initiative, which is led by the city of Hamburg, aims to electrify parcel deliveries along the last mile.